Series of new U.S. sanctions on Iran’s oil and gas industry is due to hit fragile Iranian economy on Monday • “Government will utilize its entire capabilities to alleviate the problems” anticipated by the sanctions, President Hassan Rouhani says. President Hassan Rouhani warned Iranians on Wednesday they may face more difficulties in the months ahead, after the United States imposes new sanctions on the country next week, Iran’s state TV reported Wednesday. 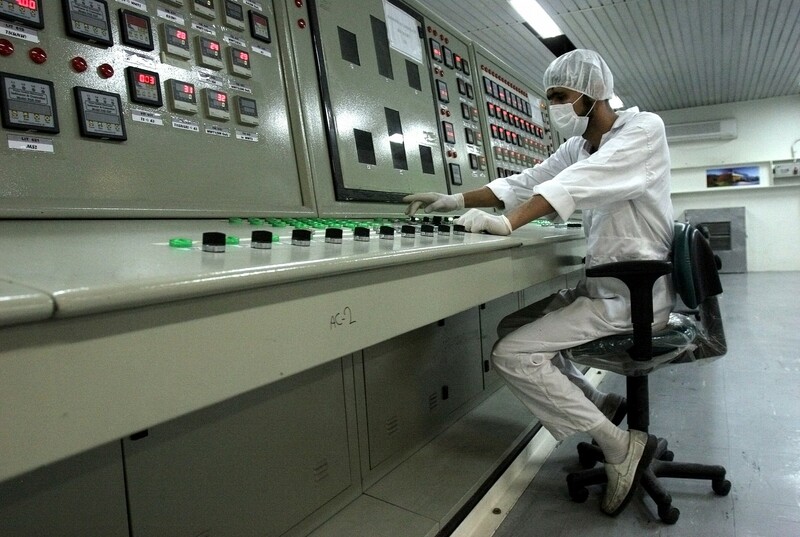 The U.S. has been reimposing sanctions on Iran since President Donald Trump withdrew from the 2015 nuclear deal between Tehran and world powers in May. On Monday, the U.S. is imposing sanctions on Iran’s oil and gas industry. According to Rouhani, Washington is trying to make Iranians angry at their government. “People are in fact angry, but … they are mad at America and its crimes – not at their government and its ruling system,” he said. 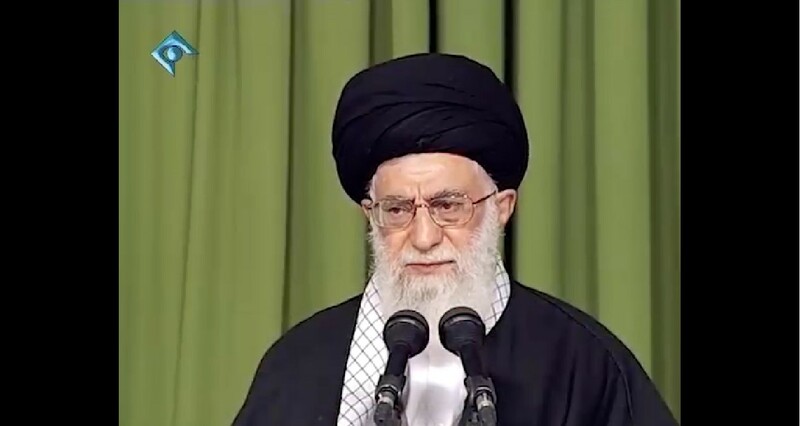 Iran is already in the grip of an economic crisis and has seen sporadic protests in recent months though Iranian officials have generally tried to downplay the sanctions and their effects. The government, meanwhile, has been trying to find ways to get around the new U.S. sanctions and expand financial ties with other countries, aiming mainly for the European Union, China and India. One such attempt is a development from Sunday, when Iran began offering 1 million barrels of oil for sale through its stock exchange for a period of one week – in theory, giving oil dealers, including those from foreign countries, a chance to get their hands on Iranian crude. Previously, Iran has exported its crude to refineries only. Oil Minister Bijan Zanganeh said 280,000 barrels were sold on the IRENEX exchange so far and 720,000 barrels will be provided later. It is unclear how the stock market offering will affect Iranian sales as it is far below the 1.85 million barrels a day that Iran has sold in October, according to the semiofficial Iranian Students News Agency. Trump pledged last week to do whatever it takes to pressure Iran to halt what he refers to as its “malign conduct” such as nuclear and missile development and support for terrorist and militant groups that destabilize the Middle East. A member of the Izz ad-Din al-Qassam Brigades, Hamas’s military wing, was killed on Thursday in an “accidental explosion” in the northern Gaza Strip, the terror group said. Daoud Jneid of Jabalia in northern Gaza “was martyred in an accidental explosion,” the Qassam Brigades said in a statement on its official website. The Hamas-run Health Ministry said Jneid was 37. The Qassam Brigades said he was 39. The explosion took place at a site that belongs to an armed group in Gaza, the Hamas-linked Palestinian Information Center reported, citing local sources. The report did not say to which armed group the site belongs. “He passed away on the path of struggle and resistance and in the field of honor and might,” the Qassam Brigades statement added. Hamas’s military wing frequently fires rockets at southern Israel and encourages and praises violent attacks against Israelis in the West Bank and Jerusalem. 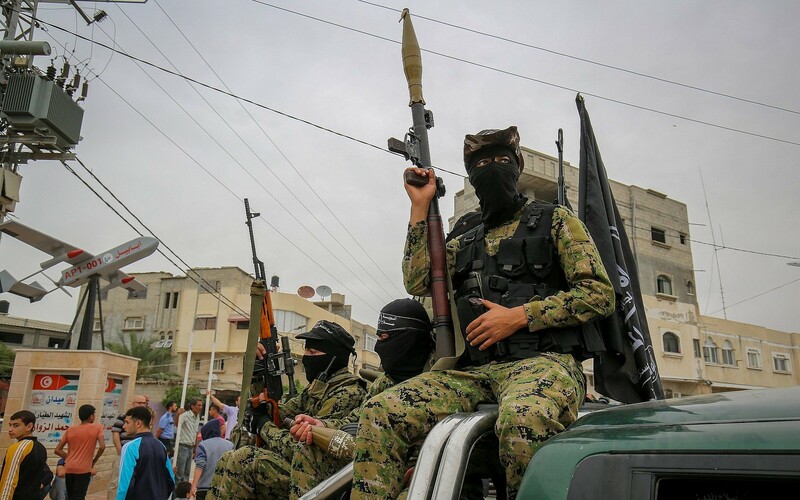 In early September, 42-year-old Abdel Rahim Abbas, another member of Hamas’s military wing, was killed in an “accidental explosion,” the Qassam Brigades said in a statement at the time. Israel’s ties with the Arab world took a giant leap forward in recent days, with a series of dramatic — even historic — events that seemed to indicate that some of the Jewish state’s neighbors are at long last accepting it as a legitimate member of the family of nations. Oman, Bahrain and the United Arab Emirates made important gestures toward Israel over the last few days, despite the fact that Israel’s relations with its closest neighbors, the Palestinians, remain dismal. A peace agreement is as elusive as ever, yet today it can no longer be denied that some Sunni Arab states are slowly but surely opening up to Israel. This seemingly disproves the hypothesis, advanced by some, that no normalization with the Muslim world can take place in the absence of significant progress in the Israeli-Palestinian conflict. Yet, despite the abundance of good news in Israel-Gulf relations, the peace process is still a glass ceiling that must be shattered before full normalization can take place, several analysts warned this week. 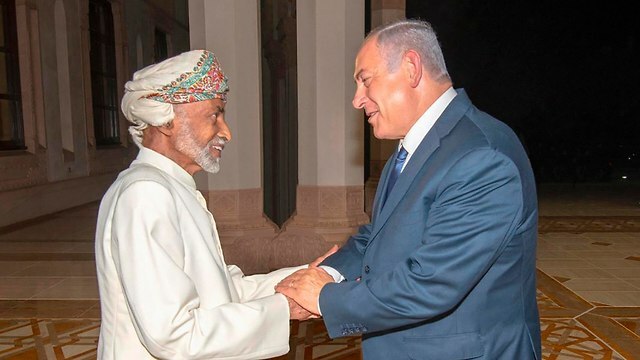 On Friday, Prime Minister Benjamin Netanyahu was warmly welcomed in Muscat by Omani Sultan Qaboos bin Said, becoming the first Israeli official to publicly visit the country in more than two decades. “These were important talks — both for the State of Israel and very important talks for Israel’s security,” Netanyahu said Sunday, vowing that there “there will be more” visits to Arab countries. The significance of the Qaboos-Netanyahu meeting was not lost on anyone dealing with Middle East affairs. Even some of Netanyahu’s toughest critics acknowledged that the Oman trip was a major achievement. Netanyahu’s eight-hour meeting with Qaboos, during which the Israeli leader and his wife, Sara, were treated to a lavish dinner and a performance of traditional Omani music, would have been enough to cast doubts on the theory that the Arab states will not publicly warm to Israel as long as their Palestinian brethren remain stateless. But it was just the beginning. On Saturday, after Netanyahu’s trip to Muscat had been celebrated on the front pages of several Omani newspapers, the country’s foreign minister, Yussef bin Alawi bin Abdullah, suggested at a conference in Bahrain that the time had come for Israel to be treated like any other state in the region. Remarkably, his colleagues from Manama and Riyadh did not disagree, even expressing tacit support for Oman’s efforts to help advance the peace process. On Sunday, about 500 kilometers east of Muscat, Israeli judoka Sagi Muki defeated Belgian competitor Matthias Casse to take first place in the under-81 kilogram category at the Abu Dhabi Grand Slam. Culture and Sports Minister Miri Regev had tears streaming down her face as she listened to Hatikva, the Israeli national anthem, being played for the first time on the Arabian Peninsula. Just last year, Tal Flicker, who won a gold medal at the same venue, was not allowed to display the Israeli flag. And after his victory in the under-66 kilograms category, the International Judo Federation’s (IJF) anthem was played instead of Hatikva. 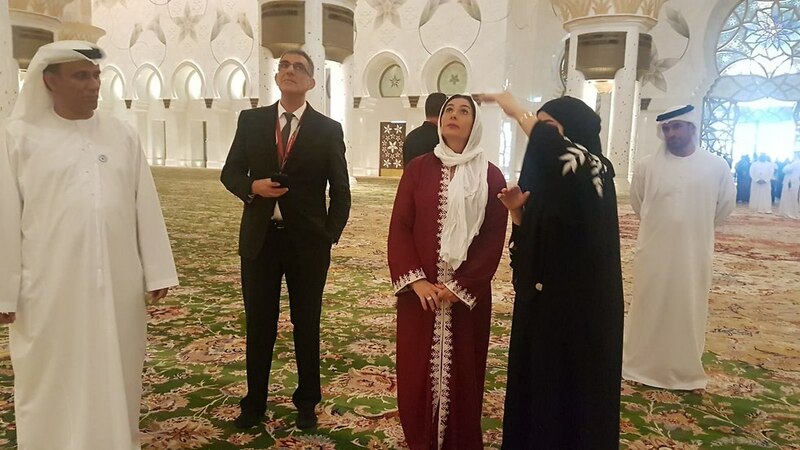 On Monday, Regev was accompanied by Emirati officials to the Sheikh Zayed Grand Mosque, the third-largest Muslim house of worship in the world, and a site regularly shown to world leaders visiting the country. The first-ever official state visit to the mosque by an Israeli minister was something veteran analysts said they never imagined could happen in their lifetime. Two other Israeli ministers visited or are going to visit the Gulf in an official capacity: Communications Minister Ayoub Kara on Tuesday addressed the International Telecommunication Union’s Plenipotentiary Conference in Dubai, and Transportation Minister Israel Katz was invitedto the World Congress of the International Road Transport Union in Muscat, where he will promote his “Tracks for Regional Peace” initiative aiming to establish a trade route connecting Europe with Israel and the Persian Gulf. In the last few days we have seen our regional partners #Oman, #Bahrain, and the #UAE make statements and/or gestures signaling warmer ties with #Israel. A more stable region leads to a stronger and more prosperous region. It is good for all. Some of those events — though not all — are truly extraordinary, many analysts agreed, pointing to the common enmity toward Iran that brings Israel and the Arab world together. But those Arab states are still unlikely to translate their admiration for Israel into a radically different public relationship with the Jewish state in the near future, Ross cautioned. “It is the only issue that transcends all our disagreements,” Schneier quoted the official as saying. And yet, there needs to be “some kind of tangible movement, some demonstrable efforts” to solve the Israeli-Palestinian conflict before the Gulf states will agree to establish formal relations with Israel, he added. Netanyahu’s warm reception in Muscat, and the absence of an outcry throughout the Arab world, was by far the biggest breakthrough of the last few days. As moving as it was for many Israelis was to see Hatikva played in Abu Dhabi, the Emiratis did not do it out of a sudden desire to honor Israel’s national anthem. Rather, it followed a threat by the International Judo Federation, which had suspended the 2018 Grand Slam until the Emirati authorities committed in writing to providing equal rights to all countries. The fact that ministers Kara and Katz are going to Gulf states is also not entirely surprising. They are attending international conferences, the organizers of which are obligated to host representatives of every member state. The participation of Israeli officials in summits across the Arab world has been fairly standard for the last few years. But why did Oman take the extraordinary step of hosting the leader of the Jewish state? Qaboos, the Arab world’s longest serving monarch, has consistently supported Arab-Israeli peace efforts, said Sigurd Neubauer, a Middle East analyst based in Washington. “When Egypt made peace with Israel in 1979, Oman was the only Gulf country not to boycott Egypt,” he said. Similarly, in the early 1990s Qaboos invited then-prime minister Yitzhak Rabin to Oman to demonstrate support for the Israeli-Jordanian peace treaty he was negotiating with King Hussein. Oman has also quietly but actively supported Israeli-Palestinian peacemaking since the Oslo Accords by backing the Middle East Desalination Research Center, a Muscat-based organization that brings together scientists from Israel, the Palestinian territories, Jordan, Qatar and elsewhere to discuss water cooperation, according to Neubauer. The contacts between Netanyahu’s office and the authorities in Muscat began about a year and a half ago, a senior official told reporters this week. That the meeting took place now is likely linked to the US administration’s forthcoming peace plan, several analysts said. “Because Oman is trusted by both Israel and Palestine, it is uniquely positioned at this moment in time to support President Trump’s peace efforts, as the [rest of the] Arab world is facing increasing turmoil,” Neubauer said. “Oman is perhaps the only Arab country where Netanyahu would be warmly welcomed and where his visit would not trigger any domestic backlash, nor would it contribute to the deepening the existing regional divisions among the Gulf states amid the crisis over Qatar,” he added. This visit should be the beginning of normalization, not the end. But for the gulf states, it’s likely the end. Yoel Guzansky, a senior fellow at Tel Aviv University’s Institute for National Security Studies, agreed that the invitation to Netanyahu was mostly a gesture toward Washington. “He didn’t do it for us. He did it for the American president, who says he will soon present us with the deal of the century,” said Guzansky, who wrote his doctorate on Omani foreign policy. At the same time, the friendly welcome Qaboos extended to Netanyahu by no means disproves the theory that full normalization is impossible so long as the Palestinian problem remains unsolved, he stressed. “The Palestinians are still the glass ceiling for Arab-Israel normalization. And this glass ceiling is being eroded, but it is still there,” he said. The increasingly positive attitude by Oman, UAE, Bahrain and others can best be explained with the desire to remain on Trump’s good side, he posited. “I think the administration asked the Gulf states, especially the smaller ones, to make gestures toward Israel, including confidence-building toward Israel,” Guzansky surmised. Netanyahu deserves credit for a great achievement, but ultimately his short trip to Muscat amounts to little more than “a show,” he went on. “We didn’t break the barrier, and with all due respect to the prime minister’s visit to Oman, we have to see what comes next. Can this gesture be filled with substance? This visit should be the beginning of normalization, not the end,” Guzansky said. Oman is the only Arab country in the Gulf that could host Netanyahu without fear of destabilizing backlash, thanks to its longstanding policy of non-interference. The prime minister’s visit to the sultanate opened the door to additional cooperation between the Jewish state and moderate Arab nations, with the main unifying issue being Iran. It was a scene unthinkable just weeks ago: an Israeli Cabinet minister, tears of joy filling her eyes, proudly singing her country’s national anthem at a sports event in the heart of the Arab world. The spectacle of Miri Regev singing “HaTikva,” which describes the Jewish yearning for a homeland in Zion, was just one in a series of taboo-busting public appearances by Israeli officials in Gulf Arab states that have thrust the once-secret back channels of outreach into public view.Prime Minister Benjamin Netanyahu has for years boasted about warming ties with key Arab states that have no diplomatic relations with Israel. But those ties—still largely unpopular among the Arab public—were rarely visible. That changed on Friday, when Netanyahu made an unannounced visit to Oman, where he met longtime ruler Sultan Qaboos bin Said. 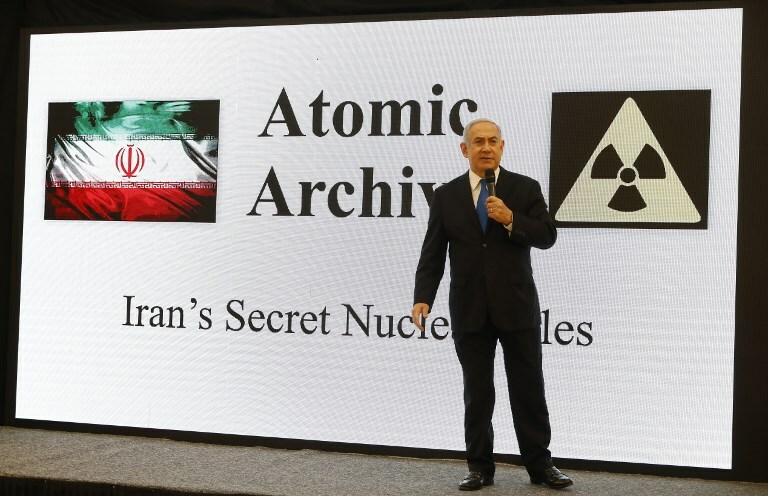 It marked the first visit by an Israeli leader in more than 20 years to the tiny Gulf state, a US ally that has in the past facilitated negotiations between the United States and Iran. As he spoke, Regev was in the United Arab Emirates with an Israeli delegation at a judo tournament—the scene of her happy tears after Israeli judoka Sagi Muki won the gold medal—and Netanyahu’s communications minister was headed to the UAE for a security conference. Transportation Minister Yisrael Katz, is scheduled to head to Oman next week for a transportation conference, where he plans on presenting his plan for a rail link between Gulf Arab countries and Israel.The driving force in these visits seems to be a shared concern over Iran. Israel and many of the Gulf Arab states consider Iran a destabilizing force, meddling in conflicts and supporting rivals across the region. Oman, which borders Saudi Arabia and lies at the mouth of the Persian Gulf, has often played the role of regional mediator. It also provides an opportunity for these Arab countries to curry favor in Washington. President Donald Trump has promised to present a plan for the “Deal of the Century” for Mideast peace, and Saudi Arabia’s dependability as an influential conduit has been thrown into question amid the fallout from the killing of Saudi journalist Jamal Khashoggi in the kingdom’s Istanbul consulate.Regev’s emotional appearance Sunday at the gold medal ceremony in Abu Dhabi was unprecedented and especially remarkable, given her political leanings. At home, she is an outspoken nationalist popular with hard-liners. In Abu Dhabi, Regev also toured the grand Sheikh Zayed Mosque. Wearing a loosely wrapped headscarf and the traditional floor-length gown known as an abaya, she was warmly welcomed by local officials. 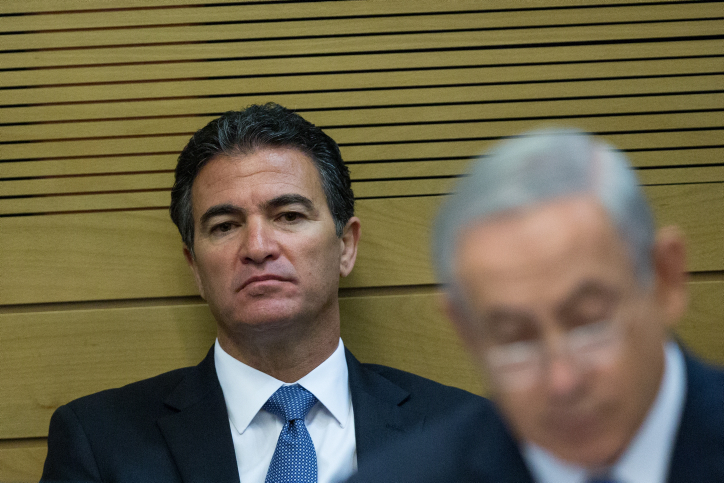 While the visits by Netanyahu and his Likud Party ministers are a huge public relations boost for him domestically, they do not immediately signal an Arab embrace of Israel. The Palestinian-Israeli conflict remains an emotional issue with the Arab public, and relations will likely remain limited without a peace agreement. Israeli forces have killed over 160 Palestinians during months of Hamas-led protests in the Gaza Strip against an Israeli blockade and a deepening humanitarian crisis. The peace process has been frozen for years, and Palestinian President Mahmoud Abbas cut ties with Washington after the White House recognized Jerusalem as Israel’s capital last year and moved its embassy to the city. The Palestinians fear that Trump is trying to rally support from Saudi Arabia and other Gulf states in order to pressure the Palestinians into accepting a peace plan that falls far short of their demands.In Muscat, Netanyahu’s meeting appeared aimed at dealing with the Palestinian-Israeli conflict and his close ties with the Trump administration. With Netanyahu’s urging, the US this year pulled out of the Iran nuclear deal, which Oman had supported. After the visit, Oman’s Foreign Minister Yousef bin Alawi suggested the meeting was merely a strategic attempt at dealing with some of the Middle East’s most pressing issues. In an interview with Al-Jazeera, he said Netanyahu had initiated the meeting to present his views on Mideast issues to Sultan Qaboos. Oman is also the only Arab country in the Gulf that could have hosted Netanyahu without fear of destabilizing backlash, Neubauer said. That’s because Sultan Qaboos, in power since 1970, has direct lines of communication with a range of players in the region, thanks to his longstanding policy of non-interference. Oman has brokered the release of Western hostages in Yemen and provided a back door for communications between Washington and Tehran under the Obama administration. It is a member of the Saudi-led Gulf Cooperation Council, but it did not join the kingdom in its boycott of Qatar or the war in Yemen. Even statements by the Palestinian Fatah Party and Iran fell short of directly condemning Oman after Netanyahu’s visit, instead criticizing Israel’s attempts to normalize relations with Arab states before a peace deal is reached. For Oman, hosting Netanyahu sent a message to the Trump administration that Muscat is a valuable regional player. The reconciliation proposal follows months of Egyptian efforts to end the rift between the two Palestinian groups. Egyptian negotiators have proposed a three year agreement to reconcile the rival factions of Hamas in the Gaza Strip and the Fatah-led Palestinian Authority in the West Bank, Army Radio reported on Thursday morning. The proposed agreement would be enacted in stages. The PA would first take responsibility for civil services and the government ministries in the Gaza Strip, that are now under Hamas control. In its second phase the PA would be in control of the police and the border crossings. If all went well for three years, Hamas’ military wing Al-Din al-Qassam would be placed under PA control as well. The plan was designed by Egyptian General Ahmad Abd al-Khaliq, who has made four trips to Gaza and the West Bank in the past two weeks to secure agreements for the plan. He has also met with senior Israelis in the Defense Ministry. The Egyptian plan includes detailed timetables and formulas for each stage. Hamas is prepared to consider the plan but is waiting for a response from PA President Mahmoud Abbas. The Palestinian News and Information Agency, WAFA, said that Abbas is expected to meet Egyptian President Abdel-Fattah al-Sisi in Sharm el-Sheikh on Friday. It’s Abbas’ first meeting with Sisi in Egypt in ten months. Egypt has been instrumental in mediating intra-Palestinian reconciliation. The reconciliation of Fatah and Hamas is considered to be a necessary step for any final peace plan between Israeli and the Palestinians. The two Palestinian factions have been bitter rivals ever since Hamas ousted Fatah from Gaza in a bloody coup in 2007. Past reconciliations plans have never been fully implemented. Egypt and the United Nations have worked intently on a new reconciliation effort. Simultaneously they have worked to restore calm and end the violence between Israel and Hamas in the Gaza Strip. The Russian Defense Ministry held a long briefing about the situation in Syria on Wednesday, warning against “provocations.” Major General Igor Konashenkov, spokesman for the ministry, warned against “hot heads” provoking Syria and intimated that the S-300 had been deployed to defend against such action. Although Israel wasn’t mentioned, the reference to the S-300 clearly is pointed at Jerusalem. The statement, also tweeted by the Russian embassy in Israel, appears to reference the downing of a Russian IL-20 aircraft in Syria in September during an Israeli airstrike, an incident that led to a brief crises with Moscow. The wide-ranging Defense Ministry presentation focused on the situation in northern and eastern Syria. Russia claimed that Syrian rebel groups in Idlib may be preparing a “false flag” chemical weapons attack. In mid-September Russia and Turkey signed a deal that prevented a battle in Idlib and called for extremists to withdraw from a demilitarized zone in the northern province that has been held by Syrian rebels for five years. Turkey is a key backer of some of the rebel groups and has sought to prevent a massive flight of refugees from Idlib. Moscow now says that the “Turkistan Islamic Party,” a rebel group, is preparing a “false flag” attack. Russia says that the Idlib agreement has gone well so far. The statement appears directed at Israel but Moscow did not mention Israel in the briefing. Instead the Defense Ministry said that the US was being irresponsible and “illegally occupying a vast Syrian region” and causing a “disastrous humanitarian situation.” Russia was concerned the US was training armed units in Syria and claimed that these included “militants” and these “gangs” were threatening Syrian civilians. The statements by Russia show that it is focusing now on three files in Syria, one of which is the situation in southwest Syria and particularly involving the S-300 systems that were sent to Syrian in the wake of the downing of the IL-20. The statement also reveals that the Syrian crews are still training to use the advanced version of the S-300 that Russia sent. The downing of the IL-20, which Russia blamed on Israel’s actions, was due to Syrian air defense crews targeting the wrong aircraft with their S-200. The training of these crews is supposed to prevent that, but it is also supposed to be a message to Israel about further air strikes. According to a statement in September 2018 Israel carried out 200 air strikes in Syria in the last year and a half, mostly against Iranian targets. A statement last year indicated Jerusalem had carried out 100 airstrikes between 2012 and 2017. Israel says Iran is building bases in Syria and transferring weapons to Hezbollah, including precision guidance for Hezbollah’s massive arsenal of missiles. Jerusalem has continually warned Iran to leave Syria, demanded its forces be kept away from the Golan border and warned about Iranian support for Hezbollah. Amid the tensions and as the S-300 crews are trained, Russia hopes cool heads will prevail in Jerusalem and not create a new incident in Syria.